Year One of Obama has gone reasonably well and has followed the historical pattern. The honeymoon glow is over, right on schedule, but the president has essentially retained the support of those who voted for him, with an average approval rating not very different from the 53 percent of the vote he garnered. He is beginning to fully own all of his inherited troubles: a battered economy, the controversial war in Afghanistan, and so on. Criticism from both the right and the left has intensified, as the real Obama—rhetorically hot and ideologically left-of-center yet innately cautious and coolly methodical—has emerged. Some signs encourage optimism within his new administration: The economy’s green shoots are growing and health-care reform has come far. Other indicators are troublesome: the intractable nature of America’s Afghan involvement and a skyrocketing national debt that will not easily, if ever, be brought under control. The honeymoon glow is over, right on schedule, but the president has essentially retained the support of those who voted for him. What history really teaches about presidential first years is not to take them too seriously. Almost all of the elected presidents in the last half-century flourished in their first year. Johnson, Reagan, and Dubya had wildly successful starts for different reasons—JFK’s assassination, the assassination attempt on Reagan, and 9/11—but only Reagan ended up popular, and that was after a roller-coaster ride in the polls. Early on, JFK, Nixon, George H.W. Bush, and Carter retained public support but posted few big victories. Their triumphs came midtenure. In the first year, no one foresaw how Vietnam would doom LBJ, Watergate would unhorse Nixon, or Iran would cut Carter’s White House stay short. And after 12 months of Bill Clinton, you couldn’t find an analyst who thought he’d get reelected, much less achieve anything. • More Daily Beast contributors on Obama’s election anniversaryThe judgment on Obama’s first year must be as tentative as that for his predecessors. Every presidency is constantly reconsidered, and early evaluations usually dissipate as events and personalities change. 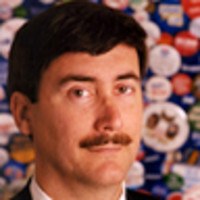 Larry J. Sabato is a professor of politics at the University of Virginia and director of the Center for Politics. Sabato's political analysis can be found at the Crystal Ball. The author of more than 20 books, his most recent is The Year of Obama: How Barack Obama Won the White House.